Click the Ram to check out our inventory! At Atlanta Commercial Trucks, we have Ram trucks ranging from the 2500 Tradesman to Atlanta’s widest selection of 4500 and 5500 chassis cabs to the new ProMaster City van. We can also provide your business with the best choices in upfits to help your business grow just like Atlanta-area customers have been doing for us for more than three decades. As an Atlanta BusinessLink dealer, our BusinessLink department is designed to help you find everything for your next fleet purchase and even manage the service of your fleet in the future whether it be a service, dump, platform body, ProMaster van, chassis cab, crane, wrecker, snowplow and more. BusinessLink is free for business owners and offers great services to its members. Take a look at our products below to learn more about that model at Atlanta Commercial Trucks. Atlanta Commercial Trucks has the durable and dependable heavy-duty pickup that’s great for commercial duties with the 2015 Ram 2500 Tradesman. With its best-in-class 17,970 pounds of towing (diesel) and up to 800 lb.-ft. of torque, the Ram 2500 Tradesman can haul and tow whatever is needed to and from the jobsite. With superior power and performance, the 2015 Ram 3500 Tradesman is the durable and dependable heavy-duty pickup that’s great for commercial duties. If you are seeking best-in-class towing capacity and torque, then look no further than the Ram 3500 Tradesman from Atlanta Commercial Trucks. The Ram Chassis Cab is mutli-talented and engineered to deliver excellence on the jobsite. When equipped with an upfit, it can be an essential tool for your business. Atlanta Commercial Trucks the widest selection of chassis cabs for the choosing. If your business needs best-in-class Gross Combination Weight Rating (GCWR) and available best-in-class torque, then look no further than the Ram 4500/5500 Tradesman chassis. Whether for delivery, construction, law enforcement or more, Atlanta Commercial Trucks has the durable and dependable work van that’s great for commercial duties with the 2015 Ram ProMaster. 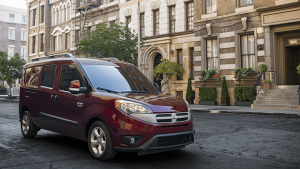 If you are seeking best-in-class max payload and class-exclusive front-wheel drive, then look no further than the Ram ProMaster. The Ram ProMaster City is great for the tradespeople and workers in cities with tighter streets of a bustling Metropolis. 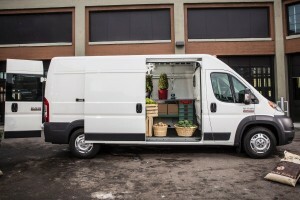 The ProMaster City is a smaller version of the popular ProMaster vans with 21 mpg city/29 mpg highway and a variety of best-in-class features including cargo capacity and torque. Our BusinessLink Manager, Charlie McCall, has established great vendor partnerships which give us direct access to upfits and equipment for your fleet vehicle needs whether it be a service, dump, platform body, ProMaster van, chassis cab, crane, wrecker, snowplow and more. BusinessLink is free for business owners and offers loaner vehicles, free shuttle service, financing expertise, extended service hours, upfitter and bailment pool connections and more.